Went to the opening of the new Ringling Bros. and Barnum & Bailey circus show “Out Of This World” last night at Staples Center. 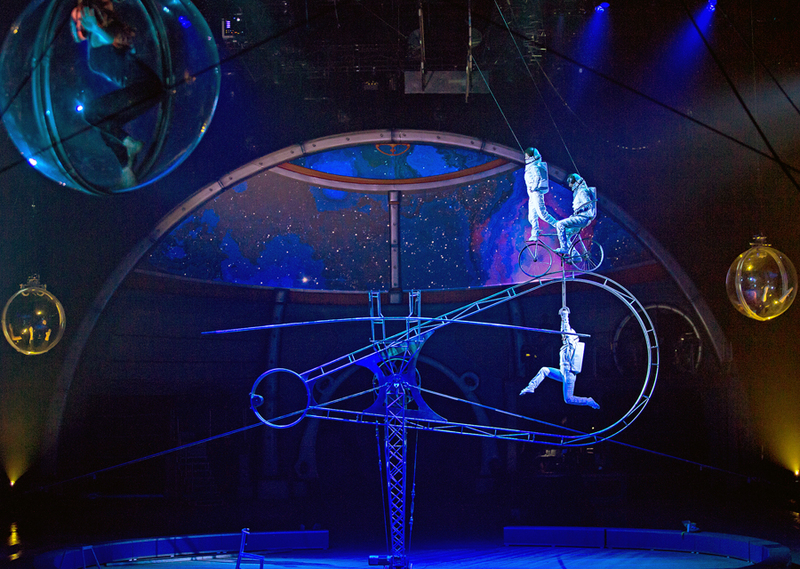 Honestly, still a great family show … we especially liked the ice skating stunts and an absolutely fantastic team of motorcyclists riding inside a sphere – eight at a time! The show has most definitely taken a cue from the success of a certain French Canadian circus, but still has the family-friendly atmosphere we remember as kids. “Out Of This World” finds a pair of star-crossed ring masters, one of who has taken up residence with a not-so-nice circus queen. 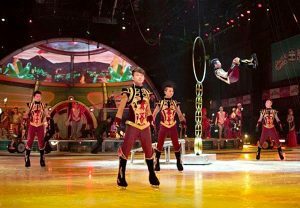 Between the Chinese skaters, some inspired clowning and a cool troupe of unicycle-riding basketball players, we had a swell time! The show is at Staples though July 19, then at Citizens Business Bank Arena in Ontario from July 22 to 26. The show moves on to Honda Center in Anaheim from July 29 to Aug. 7. For more information, visit www.Ringling.com.